MILWAUKEE (November 2, 2017) – Johnson Controls introduces the latest version of its Kantech EntraPass Security Software with integration with Kantech’s ioSmart Card Reader, as part of an end-to-end encrypted access control solution. 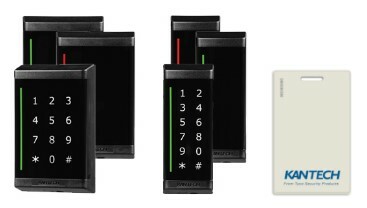 EntraPass v7.30 also includes integration with HID® Mobile Access for quick and easy access to doors using a mobile phone for the end users while maintain the credentials management through EntraPass. Along with the newly added support for the ioSmart Readers, EntraPass v7.30 will continue to support the ioProx Card Readers and Credentials. With the multi-technology options available on ioSmart Readers, the migration from Proximity cards to smart cards is easy with Kantech. EntraPass v7.30 now supports HID® Mobile Access credentialing. The integration makes it possible for users to gain access to a facility using a credential on their phone from a BLE-enabled HID reader. The user receives an invitation from security personnel on their mobile phone and can quickly download the credential. All credentialing is managed through the EntraPass Corporate and EntraPass Global Edition software. For further details, please visit Kantech.com.